The most familiar day on the church year calendar is December 25th, Christmas Day, the commemoration of the birth of our Lord Jesus Christ. Most people in the world of any religion or even no religion know that. One of the least familiar days on the church year calendar is December 28th. Most Christians do not even know what is commemorated on that day. December 28th is designated in the church year as the day to remember the “Holy Innocents, Martyrs.” Who were these Holy Innocents? Their story is told in Matthew 2:13-18. King Herod feared that his reign was going to be threatened by the birth of a new king, foretold many centuries before by the ancient prophets. A visit by three astrologers, or Magi, from the East reinforced his fears. They had told them that they also had read all the signs in the stars and determined that a new king had indeed recently been born in Bethlehem, just outside Jerusalem. They said they were on their way to see him. When the Magi did not return to tell King Herod where they had found the new king, he had ALL the little boys under two years old in Bethlehem taken from their mothers and slaughtered by his soldiers. Herod did not know which one was born to be king so he had them all killed, thinking he could over-rule the prophecy and eliminate the threat. Herod was the first of many rulers throughout history who would not welcome the rule of this new king, and the little boys who died that day were only the first of millions who would die because of the opposition of wicked rulers to this Savoir and King of the world. From the earliest times, the church would call them martyrs. The dictionary has three definitions for martyr. First of all, a martyr is someone who chooses to die rather than give up their religious beliefs. Second, a martyr is someone who endures great sacrifices for a cause; and third, a martyr is one who suffers greatly. The first definition includes the other two, and that has been the fate of millions of Christians over the past twenty centuries. When we think about Christian martyrs, we usually think of the earliest Christians who suffered at the hands of the Romans. Thousands died in the arenas, killed by lions and other wild beasts for the entertainment of the Romans in the sporadic persecutions in those early centuries of the Christian Church. But no century has had more martyrs than the 20th century, with more Christians dying for their faith in that century than in all the nineteen previous centuries of church history. And the 21st century is starting out even worse. 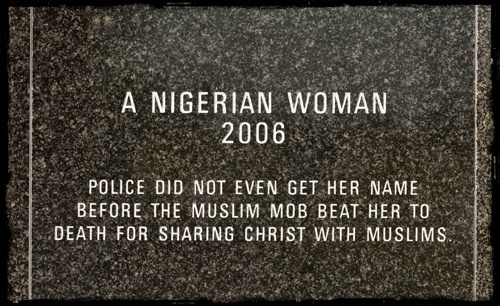 Christians are targeted for persecution in many countries of the world. I’ll remind you of just two examples of what we have been hearing about all year. 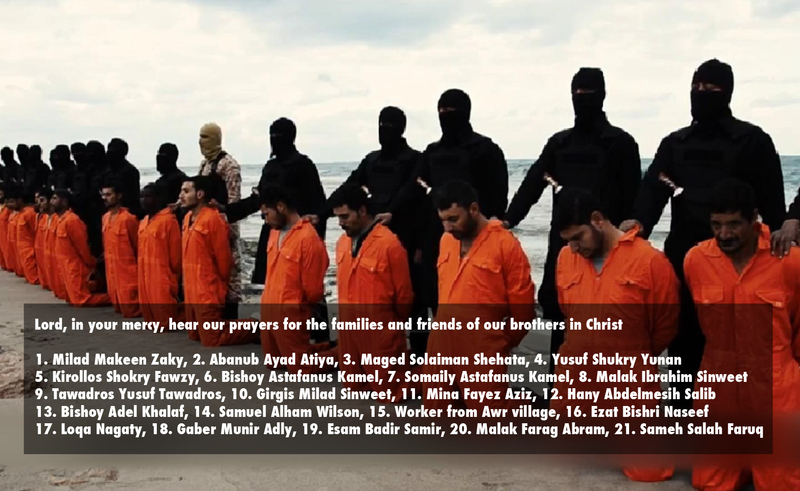 On February 15 the ISIS released a video showing the beheading of 21 Coptic Christians, accused of being “people of the cross, followers of the hostile Egyptian Church.” And on April 5 gunmen targeted Christian students at the Garrisa University in Kenya, killing 148 and injuring 79 more. I am of German heritage. Jesus was not born in Germany, so the Gospel had to be taken there by missionaries. St. Boniface was the man God used to establish the church in Germany, and he faced much violent opposition. The opposition lasted throughout his life, and in the end, he too became a martyr. He was killed right after a worship service in which he confirmed several new converts. One of the twenty-one men who were beheaded by ISIS was not a Christian– that is, he wasn’t a Christian until he saw the faith of the men who refused to deny Jesus and died for it. 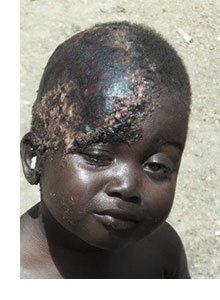 He was from Chad (the darker skinned man in the photos below). The terrorists told all the men to reject their faith in Christ or die. 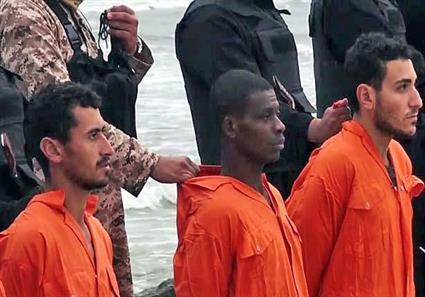 When the man from Chad was asked about his faith, he looked at his Christian friends and said, “Their God is my God,” and so he also was beheaded. Matthew 2:16 — When Herod realized that he had been outwitted by the Magi, he was furious, and he gave orders to kill all the boys in Bethlehem and its vicinity who were two years old and under, in accordance with the time he had learned from the Magi. I Peter 4:16 — If you suffer as a Christian, do not be ashamed, but praise God that you bear that name. Romans 1:16a — For I am not ashamed of the gospel, because it is the power of God that brings salvation to everyone who believes. We remember today, O God, the slaughter of the holy innocents in Bethlehem by the order of King Herod. Receive, we pray, into the arms of your mercy all innocent victims, and by your great might frustrate the designs of evil tyrants and establish your rule of justice, love, and peace; through Jesus Christ our Lord, who lives and reigns with you and the Holy Spirit, one God, now and forever. Amen. —Lutheran Book of Worship,1978, Prayer for December 28, page 31. Suta is a village pastor in India. Like the majority of people in India, he grew up in a Hindu family. But now Suta follows Jesus. He wants others to learn the truth about Jesus, too. Suta believed that God was telling him to share the gospel with people in a nearby village. The people in the village were dedicated Hindus. As he began sharing his testimony from place to place in the village, some Hindu men threatened him and told him to leave the village. Suta decided he had given up to easily. Suta returned to the village. This time, the villagers beat him up and threw him in a 10-foot deep ditch. Raji pulled Suta out of the ditch and carried him to his home. Raji’s wife took care of Suta, and Suta shared the gospel with her. When Suta prayed for her sick relative, God healed the relative. Merciful Father: Hear the cries of your people who are being persecuted and killed for your Name’s sake; who are threatened with the sword to “deny or die”; who are made to watch as their own children are slain; who are tortured for the sake of a religion; and who must flee their homeland for their lives, if they can. We join our prayers with their cries for deliverance, O Lord, asking that you embrace them with your nearer presence and provide your promised deliverance in the midst of their suffering. Breathe in them your peace which passes all understanding, and assure them that there is nothing in all creation can ever separate them from your love which is in Christ Jesus our Lord. Strengthen them as you did for all the saints and martyrs who went before, with the confidence that death is of no lasting consequence in your eternal Kingdom. We pray for the conversion of the evil doers, as they hear the compelling witness of the Gospel on the lips, and in the lives, of the persecuted church. And finally we implore your forgiveness for our sins of indifference and apathy towards the persecuted church. With shame we confess that so much suffering has met with so little awareness and response. Imbue us, O Lord, with your Living Word, the Holy Spirit, that we may stand in solidarity with all who willingly suffer for the sake of Christ. We open our hearts, praying, not only for the suffering church, but that their suffering may teach us faithfulness today, and what it costs to stand for the Gospel in the evil day; confident that while sorrow may linger for the night, joy comes in the morning. In the name of Jesus we pray. Amen. In the year 304 AD, two young Christian girls from a wealthy, pagan household in Rome, died a martyr’s death within days of each other. Wealthy families in early Rome often raised their daughters using well educated slaves from Greece. These ‘nannies’ were often Christian, as was the case in this household. The Roman patrician’s daughter Agnes was a beautiful girl. She grew up alongside the nanny’s daughter, Emerentia. The girls were like sisters, completely devoted to one another. When Agnes was 13, her father decided it was time for her to marry, so he encouraged the son of a high-ranking Roman to ask her for her hand in marriage. Agnes reportedly spurned his advances saying, “I am already the spouse of a Lover much more noble and powerful than you.” The enraged suitor discovered she was a Christian and reported her to the authorities. She was sentenced to be executed by the edict of the Roman emperor Diocletian. There is enough variety in the description of how Agnes died that some of her story is considered legend. The consistency behind every account, however, is that Agnes was a very young Christian who sacrificed her life for her faith in Christ. 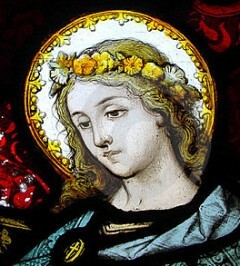 According to truth or legend, all the men who approached Agnes in the brothel became blind. She then prayed for God to restore their sight. Agnes was eventually killed by the executioner’s sword. A few days after Agnes’ death, a young woman was found praying by her tomb. It was Emerentiana, who admitted to being a Christian. She admonished the crowd for killing Agnes. The crowd commanded her to leave the site. When she refused, they stoned her. The heroism and death of these young girls inspire us in our own faith and obedience. There is another, however, whose name we do not know, but whose Christian influence was monumental in the Roman world. We would do well to remember also the unnamed nanny, whose exceptional teaching and inspired lifestyle enabled two young girls to withstand the test of martyrdom. The precise details of this story cannot be proven. Legend is often mixed with history in these very old stories. But what cannot be denied is that countless martyrs of all ages have faced death with that kind of faith and courage and hope, bearing witness to unbelievers and giving inspiration to fellow Christians. Already in the second century A. D. Tertullian wrote that “the blood of the martyrs is the seed of the church,” implying that the willing sacrifice of their lives led to the conversion of others. I Corinthians 1:26-27 — Brothers and sisters, think of what you were when you were called. Not many of you were wise by human standards; not many were influential; not many were of noble birth. But God chose the foolish things of the world to shame the wise; God chose the weak things of the world to shame the strong. 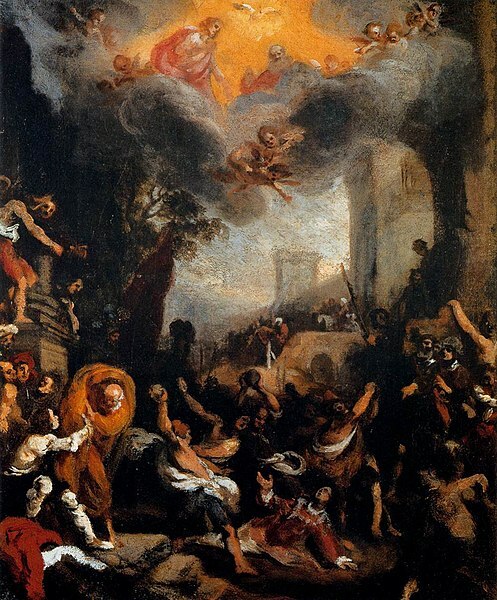 I Peter 4:12-16 — Dear friends, do not be surprised at the fiery ordeal that has come on you to test you, as though something strange were happening to you. But rejoice inasmuch as you participate in the sufferings of Christ, so that you may be overjoyed when his glory is revealed. If you are insulted because of the name of Christ, you are blessed, for the Spirit of glory and of God rests on you. If you suffer, it should not be as a murderer or thief or any other kind of criminal, or even as a meddler. However, if you suffer as a Christian, do not be ashamed, but praise God that you bear that name. All-powerful and ever-living God, you choose the weak in this world to confound the powerful. When we celebrate the memory of St. Agnes, may we, like her, remain constant in our faith. Amen. As Christmastime returned to Iraq in 2014, Pastor Joseph found himself caught up in the usual busyness, along with the increased time spent serving persecuted Christians following the rise of the self-proclaimed Islamic State (ISIS). In the midst of the chaos, a man visiting his office in Baghdad urgently asked if he could share eight words with the pastor. Pastor Joseph, 38, paused to hear the story, one he had heard many other times yet still delighted in– another Muslim coming to Christ because of ISIS. “I was blind, but I am seeing now,” the visitor shared. Stories like this come frequently as Joseph faithfully serves in Iraq despite the growing threat of ISIS. The pastor knows the chaos caused by the extremist group is creating rare opportunities for the church in Iraq. For example, he has seen large numbers of Muslim youth leave Islam after learning how the Quran inspired ISIS and its slaughter of Christians. Many of these youth eventually realize they still need God in their lives. The man who visited Joseph’s office in December had a similar experience. Shocked by how specifically the Quran inspired ISIS, he became an atheist. Days later, he walked by a group of men sitting at a table outside a library. Bibles and Christian literature sat on the table. “Would I stone her?’ the man asked himself. For each story of a Muslim coming to Christ, Joseph has several more about Muslims, particularly ISIS, persecuting Christians. Stories of beheadings and crucifixions have been covered by international news organizations. Christians are told to leave Iraq, convert to Isalm, pay a heavy tax, or be killed. Joseph’s stories are more personal. He regularly hears about church members fleeing ISIS only to encounter the terror group at checkpoints surrounding the territory. The fighters confiscate passports, ID cards, and all valuables. Joseph once heard about a checkpoint guard who asked a pregnant woman for her wedding ring. Because her fingers were swollen from her pregnancy, she was unable to remove it. The guard cut off her finger, took the ring, and sent her on her way. We prayed for revival for years, but revival didn’t come how we imagined it. Revival came through the war. I Chronicles 29:15 — We are foreigners and strangers in your sight, as were all our ancestors. Our days on earth are like a shadow, without hope. Hebrews 11:13-14 — All these people were still living by faith when they died. They did not receive the things promised; they only saw them and welcomed them from a distance, admitting that they were foreigners and strangers on earth. People who say such things show that they are looking for a country of their own.